Brilliant sunsets, pristine beaches, and hand-woven hammocks swaying in the breeze are what Caribbean-vacation daydreams are made of. Although the Caribbean is definitely all of these things, it’s also much more. From sampling farm-to-table cuisine in Jamaica to immersing yourself in the architecture of St. Thomas, here are a few ways to delve into local culture in five popular Caribbean destinations. Book a Royal Caribbean cruise and consider visiting them all in one go. This small island, just 40 miles north of Venezuela and officially part of the Kingdom of the Netherlands, is a melting pot of cultures — which is particularly evident within its thriving food and music scenes. 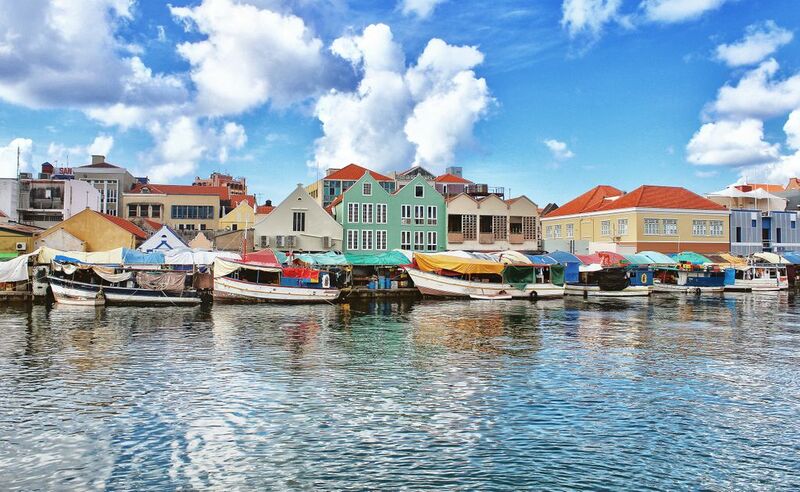 The sounds of traditional Curaçaoan music, rooted in African influence, can be heard while strolling through the capital of Willemstad: Street musicians are common around town. To dig deeper into the eclectic music culture, explore the local artisan markets such as Plaza Jo-Jo Correa or the monthly handicraft market Marshe di Artesania at Gallery Alma Blou. Keep an eye out for traditional instruments like the bastel (cow horn), chapi (hoe and metal rod), and karkó (conch shell horn). Speaking of markets, the Old Market in Punda is a popular hangout for visitors and locals alike and an ideal place to grab a bite to eat. Also make your way to Plaza Bieu, a rustic market that hosts a variety of vendors known for local specialties: Check out Ms. Yvonne’s or Zus to sample dishes like homemade polenta, fish and rice, and okra soup. A few other must-try dishes include cashew cake (bolo di kashupete) or pastechis, aka deep-fried dough stuffed with fillings like cheese, beef, chicken, or cod. 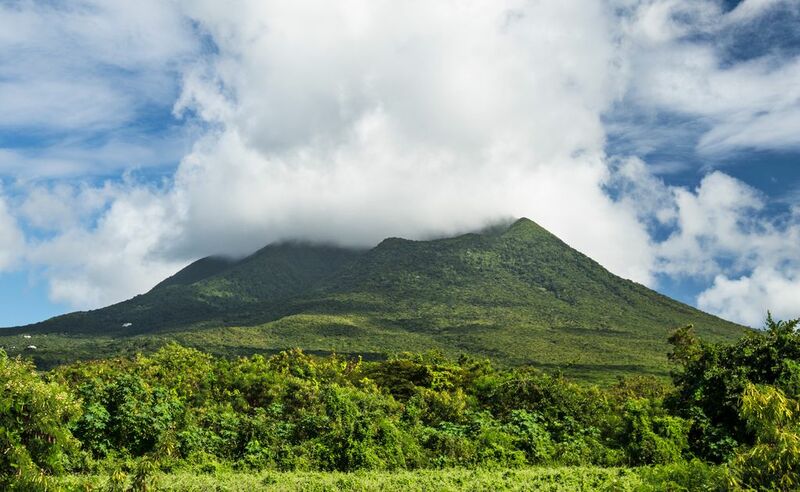 St. Kitts, an island in the West Indies and part of the nation of St. Kitts and Nevis, is home to natural wonders like rainforested mountains and black-sand beaches. When you visit, make sure to pack your hiking boots to experience the dormant Mount Liamuiga volcano. This excursion is doable in a day with or without a guide. From 3,800 feet, you’ll enjoy unparalleled views of the cloud-cloaked crater’s rim while learning about the local ecosystems of this unique landscape. Monkey Hill, a small town situated in the southeast of the island, is also home to several great hiking options — especially if you remind yourself to look up. It’s estimated that thousands of free-roaming vervet monkeys call St. Kitts home. These primate residents can be elusive, but a good guide will know how to locate the animals by keeping an eye out for telltale signs. Jamaican cuisine is as diverse as it is flavorful — and it has a whole lot more to offer than just jerk chicken. A slew of sustainability-focused dining experiences have cropped up in recent years, lending visitors a novel perspective on Jamaica’s storied food culture. One of these dining experiences is Stush in the Bush, a combination organic farm and restaurant nestled on a 15-acre plot in the lush Jamaican hills. Stush in the Bush features a prix-fixe menu of seasonally inspired, “reimagined” Jamaican fare. All dishes are vegetarian, though seafood courses can be prepared upon request. A tour of the property comes with the price of the meal, so build in enough time for it. 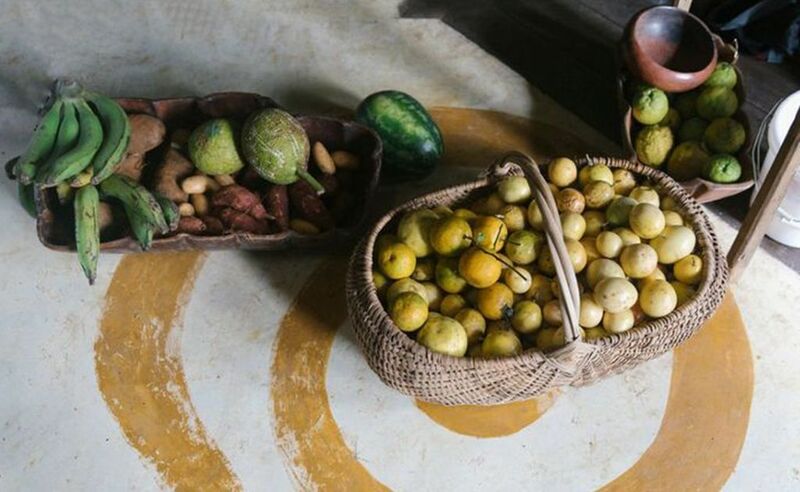 Or, take the farm-to-table concept up a notch with a “bean-to-cup” experience at Old Tavern Coffee Estate in Jamaica’s Blue Mountains National Park. Some organized tours include a hike around the estate while you learn about the sustainable coffee-production process. This island situated off the coast of Honduras is a true diver’s paradise. The Mesoamerican Barrier Reef is the second largest reef system in the world, and central to Roatan’s culture, both culinary and otherwise. So, put on your wetsuit and take an intro to free-diving course to get an up-close-and-personal look. 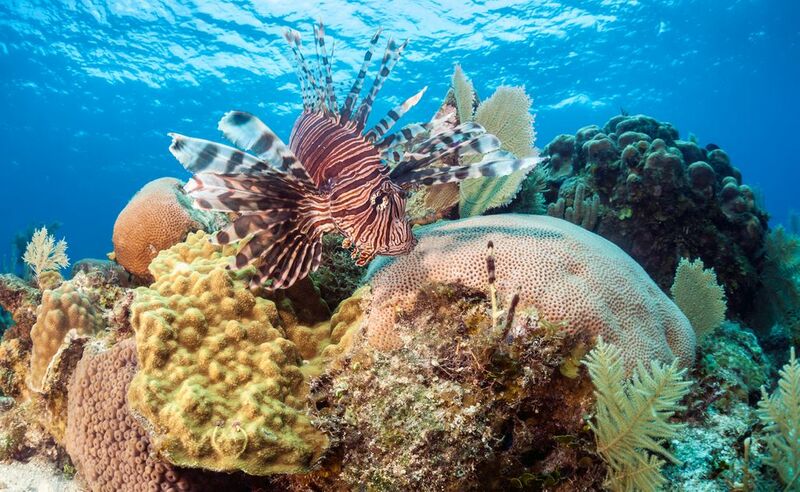 Alternatively, take a spearfishing class to learn how to safely and sustainably harvest lionfish, an invasive species that’s been wreaking havoc on the ecosystem in recent years. Lionfish also happens to delicious. In fact, it has become a staple on many local menus, and is best-served fried, grilled, or in stews. Some restaurants will even let you bring your catch to the chef for a fresh-caught, fresh-cooked meal. Continue your culinary journey by venturing to the aptly named Hole in the Wall restaurant for a dose of local comfort food, like fried conch fritters and lobster nachos. For an authentic meal a little closer to the action of town, try the street baleadas — a traditional Honduran dish made of thick flour tortillas folded in half and stuffed with a variety of fillings like refried beans, avocado, and queso fresco. If your Caribbean daydreams are firmly planted in the sand, you’re in luck: St. Thomas has some of the most stunning and diverse beaches you’ll find anywhere. Magens Bay Beach, for example, is a world-renowned destination where the active set can partake in kayaking, snorkeling, paddleboarding, and even hiking — it’s close to trails. Coki Point Beach, with its crystal-clear waters, is another absolute gem, and only a 20-minute drive from the capital city of Charlotte Amalie. 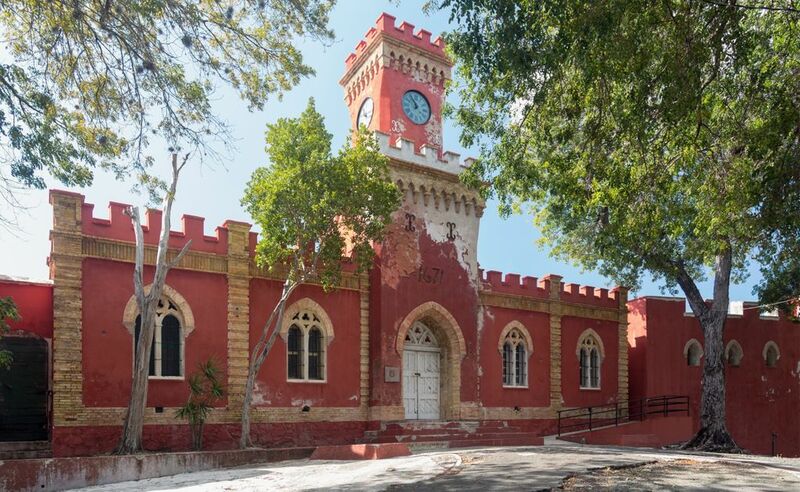 Speaking of Charlotte Amalie, when you visit (which you should), take the time to check out its architectural masterpieces, which feature traces of the island’s Danish influences. (St. Thomas was a Danish territory until 1917.) Traditional buildings with yellow bricks and red roofs can be spotted throughout town, too — a nod to the the island’s West Indian roots. Don’t miss Fort Christian, the oldest standing structure in the Virgin Islands. Climb the famous 99 steps,which date back to the 18th century — the bricks were once used as ballast on Danish merchant ships that once frequented the harbor. You also might consider signing up for a walking tour with a local guide to learn about the architecture on Main Street. A Caribbean vacation can be so much more than simply sun-seeking; this itinerary practically guarantees an authentic, local experience in this stunning part of the world.